A Real Read, an African American LGBT performance ensemble that, from 1996 to 2002, performed original poems, prose, and plays that gave voice to the often-silenced black gay community while offering performances that reflected the universal. At a time when there were numerous LGBT theatrical performances in Chicago, few were able to have such a community impact as A Real Read, the African American LGBT performance ensemble. From 1996 to 2001, to the surprise of many critics, people from all over the city—and not just people of color—flocked to their performances. 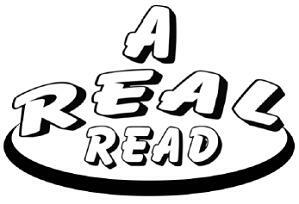 The idea for A Real Read originated with founding member Byron Stewart, who attended a workshop conducted by the Pomo Afro Homos, an African American gay performance troupe. Stewart’s poems, written in the workshop, were published in Chicago’s Blacklines, and he worked with the publication to organize a series of openmike poetry readings that became a monthly event at a local lesbian bar called Paris Dance. Out of those poetry readings and aided by two co-founders—Byron Mason, a writer, and Sanford Gaylord, an actor and writer—A Real Read was born, and the talents of many local artists were enlisted. The ensemble helped to bring new audiences to theater houses that traditionally had never experienced so many women or people of color in the audience as those who attended A Real Read’s performances. Producers and reviewers acknowledged that the group filled a real need for varied programming, audience development, and culturally appropriate theater in Chicago. The group tackled issues that crossed cultural boundaries—such as coming out, LGBT isolation, homophobia, religion, sexism, the situation of LGBT African Americans, and HIV/AIDS—by deploying poetry, dance, and choral call and response, all embedded in an intent to speak from an African American perspective. Through original poetry, prose, and plays, the group worked to give voice to a community and issues that have often been silenced, yet their performances struck a universal chord. Venues were consistently sold out. A Real Read was invited to perform for a variety of conferences and organizations, not only in Chicago but across the nation. These ranged from the Chicago Black Lesbians and Gays’ Unity Conference, Ladyfest Midwest, and Equality Illinois to the American Psychological Association and the National Black Gay and Lesbian Leadership Forum and Black Pride events. The company staged productions for the Chicago Public Schools, the Chicago Department of Public Health, the University of Illinois at Chicago, Illinois State University, and New York University. A Real Read was a company in residence at the Bailiwick Repertory Theatre on Chicago’s North Side. The company produced the works of other LGBT artists, including plays by Larry Duckett, Steve Langley, and Dr. Shirlene Holmes. It collaborated in productions outside the Midwest with OutCharlotte in North Carolina, the Out on the Edge Festival of Queer Theater in Boston, and the Lambda Literary Foundation’s annual writers’ conference in Washington, D.C. Even after the ensemble dissolved in 2001, its impact continued to have a ripple effect. Members of the company moved from stage to screen in several documentaries. Out of the initial group of performers, new directors emerged and created new performance troupes. Some members have become curators and producers of cultural events; some are accomplished actors; others form a new generation of playwrights. There have been African American performance ensembles before and since, but none quite like Chicago’s A Real Read.